Our In Transition series digs back in and brings you up to speed on the current status of historic places previously featured in Preservation magazine or the PreservationNation blog. The original Kehilath Anshe Ma'ariv Synagogue, later the Pilgrim Baptist Church. 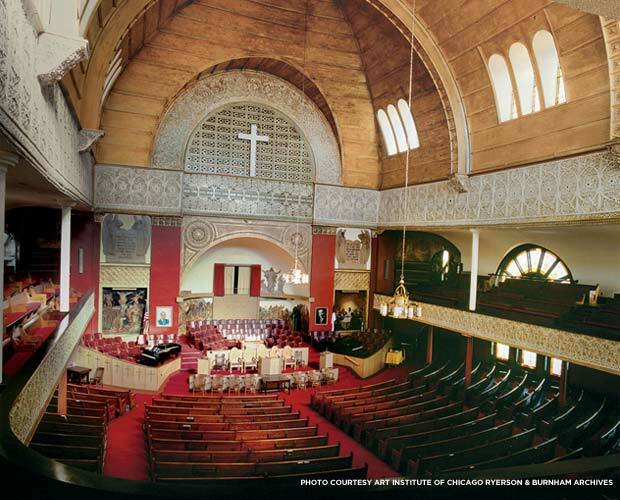 When Preservation featured Chicago’s Pilgrim Baptist Church in its May/June 2008 issue, the striking 19th-century house of worship had already suffered the blows of a devastating fire and trouble moving restoration efforts beyond the planning stages in the years immediately afterward. Nearly a decade later, those efforts remain stunted. But as neighbors have grown weary of the obtrusive scaffolding that still supports the church’s limestone walls, at least one group has other plans for the embattled structure: turning it into a park. Music historians, community members, and fans of famed Chicago architectural duo Dankmar Adler & Louis Sullivan, among others, have long rallied behind Pilgrim Baptist. 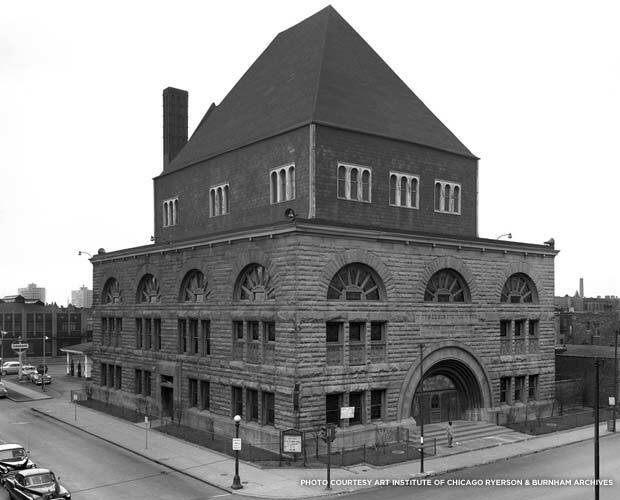 Built as a Jewish synagogue in 1891, the building is not only one of just a handful of still-standing designs by both architects, but also became known as the birthplace of modern gospel music when the building became Pilgrim Baptist in the 1920s. Work to rehabilitate the church’s interior was already underway when a construction fire engulfed the Romanesque building in 2006, according to Preservation Chicago Executive Director Ward Miller, and at first it didn’t appear that the damage would slow those projects down. “There were ambitious plans from the moment the ashes cooled to restore the building to 1890s condition,” Miller said. The church’s board of trustees revealed their dramatic vision to rebuild and expand with a social services building and cultural center two years after the fire and various organizations and institutions, including the state of Illinois, pledged to offer their financial support. But as the years passed and plans and funding fell through, little progress was made. The interior of Pilgrim Baptist Church, converted from Kehilath Anshe Ma'ariv Synagogue. In recent weeks, the Chicago Tribune has reported that fed-up residents in the city’s Bronzeville neighborhood where the church stands have circulated a petition demanding something be done with the building, and while the church’s board of trustees have yet to publicly comment, Miller and his organization believe that something should be shoring up the remaining walls and incorporating them into a one-of-a-kind park space. The church’s walls could serve as an open-air feature to frame benches and trees or, in a nod to the building’s musical history, a concert pavilion. Additionally, the plan would fit nicely with Chicago Mayor Rahm Emanuel’s push to expand public park space in the city. Miller says the idea has been met with support in the local architecture community and they’ve presented it to the neighborhood’s alderman who could discuss the suggestion with residents in the coming weeks. The church’s board members are also set to meet with the alderman about it, Miller says. “[It could be] an exciting opportunity to rethink a resource,” he said.